Have you ever wondered what’s the best backpack to travel? Or what portable charger has the finest reviews? Well, the greatest way to know that would either be through an exhausting research or by asking it to someone who has it. 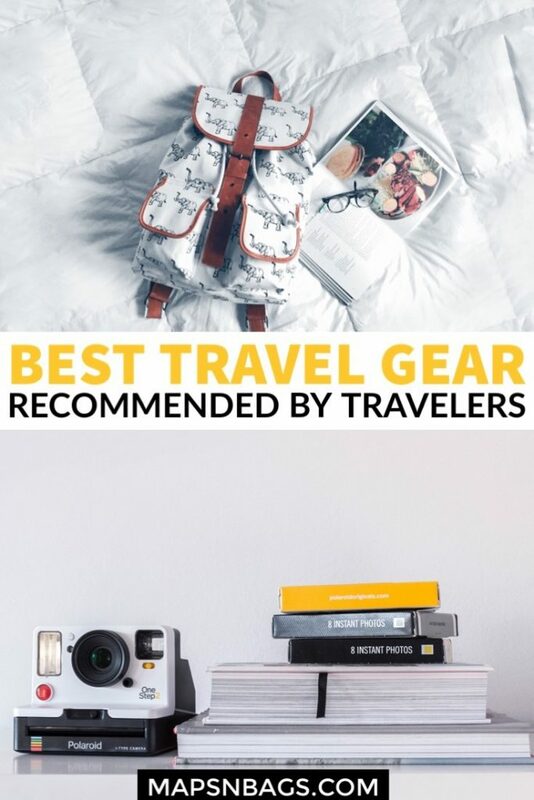 To help you with that, I already asked professional travelers what their favorite travel gear is. 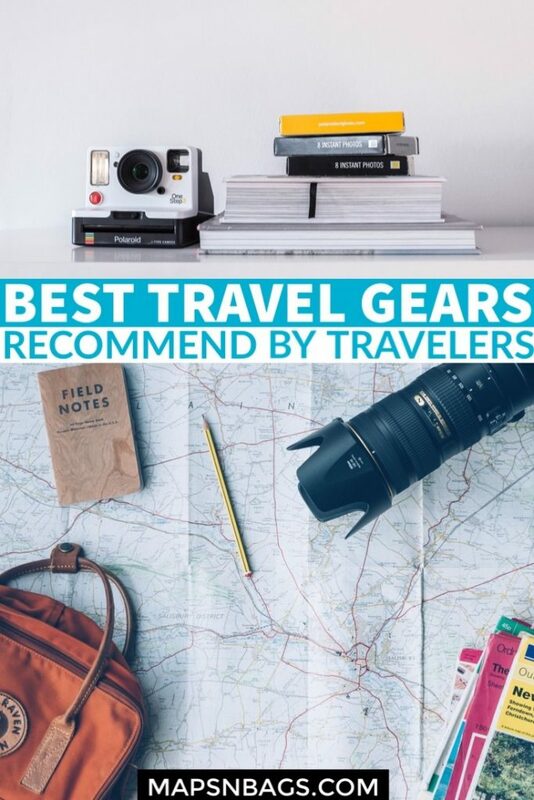 Except from one or other item, this list has the essentials things to pack for basically all sorts of trips, so it doesn’t matter if you’re going on a business trip to Germany or on a tropical vacation to Brazil, check out this full list! 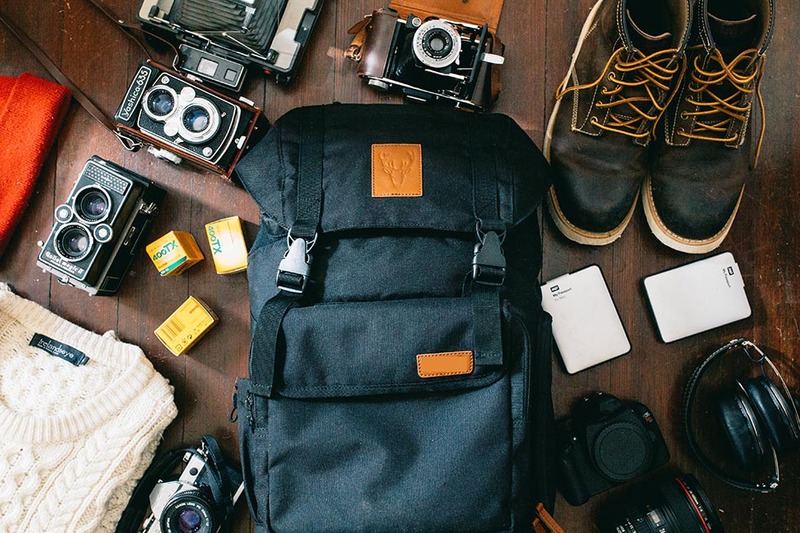 The GOgroove Camera bag is a must-have for any travel bloggers who are also photographers. This DSLR/laptop combo is great for a traveling photographer – the camera is ready and the laptop for editing! The main compartment is on the lower portion of the bag where the camera is to be stored. Lay the bag down flat, open it up and there is your camera equipment at your disposal. The bag can fit one DSLR camera and up to four lenses or other equipment (I have fit a 200mm lens, I do not think anything larger will fit). An added bonus is that the padded slotting can be moved around and adjusted to fit your needs (more cameras, different lenses). The laptop storage is on the back, with a little zipper along the spine of the bag. You slide your laptop in there and you are ready to go! Additionally, the top of the bag opens for another storage area where other travels knick knacks can go such as the laptop charger or camera charger (I put my portable battery charger, phone, and converter there). 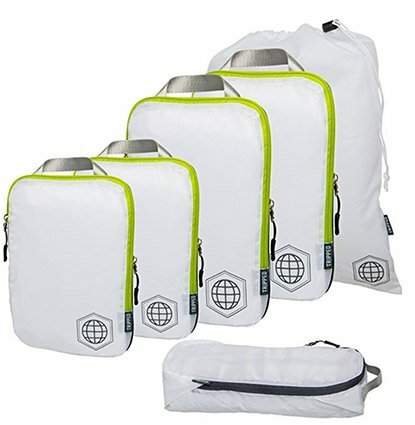 Other added bonuses: in that top main pouch is a waterproof bag cover, and the side has a pouch that can be used to clip in a tripod or put a water bottle. It also comes in different colors: red, blue, tan, black! Overall, I think the bag is great to get all of your electrics into one bag and for easy camera transportation. 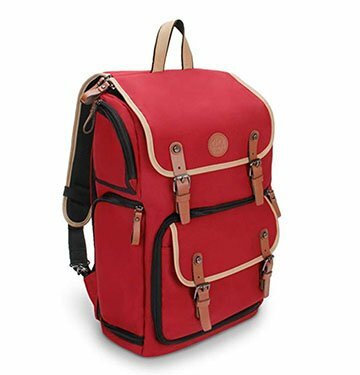 For long haul trips, I have used this as a carry-on so I know all my expensive gear is safe with me on the plane, then just a duffel or another small bag for clothing and toiletries. I have also used this bag while hiking mountains to easily transport my camera equipment in order to get those beautiful mountain shots. This bag is truly versatile and gives photographers all they need to get the perfect photo anywhere and then blog about it! Click here to check the latest price and reviews! I will not travel without my Shady Rays sunglasses. 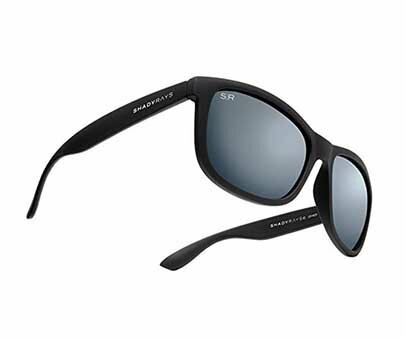 They are the best pair I have owned due to their lifetime warranty, polarized lens, and lightweight design. What sold me on these sunglasses was that for $40, the company offers a lifetime guarantee and free replacement (only shipping and handling) if they ever break or disappear. In addition, they are stylish, lightweight and comfortable around my ears. I travel with these sunglasses without fear of breaking or losing them and love the amber wooden frames. That is why, in my opinion, these glasses are better than the rest! I wear my Chacos sandals literally every day whether I’m hiking, shopping, or working. As long as it isn’t snowing, I probably have them on. 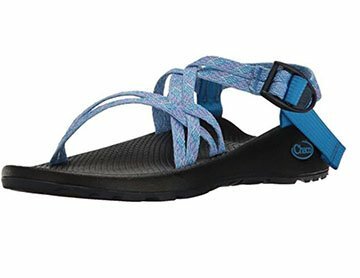 Chacos are great for walking and hiking because they’re super durable with Vibram soles, plus, they’re great in water. They may not be the cutest sandals ever, but they have definitely improved over the years. There are tons of different styles (one, two or three straps, toe loop or no toe loop) that are available in a million different colors and prints. You can even customize them. They take a while to break in, like a month or two, so don’t give up on them. I wore mine on short walks, to the store, things like that, so I didn’t want to chop my feet off. Once that was done, they were perfect. I never leave home without my Klean Kanteen stainless steel water bottle. This reusable water bottle has a double-wall vacuum insulated so it keeps my drinks hot or cold for hours without condensation. I drink lots of water so bringing a reusable bottle with me keeps my travel costs low by not having to constantly purchase plastic bottles of water. Not only does my Klean Kanteen reduce my travel expenses, but it reduces my waste which is also great for the environment. 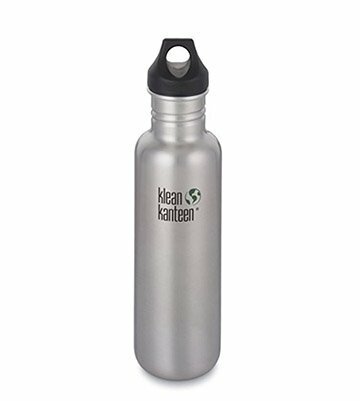 I’ve been using my Klean Kanteen bottle for years and I love that it is also BPA-free, durable and leak proof. When we travel, we like bringing along things that you might unexpectedly need. You never know when you might need to have your own towel at a hostel, for a spontaneous swim, or for getting caught in the rain during a hike. 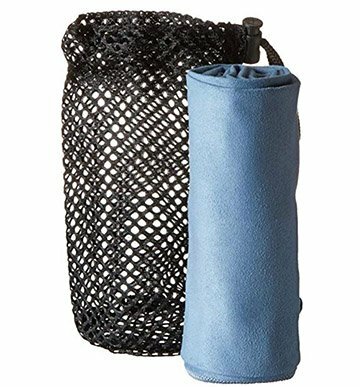 Eagle Creek’s Travellite towel is a small, highly absorbing towel that packs in easily in your bag. It’s incredibly soft and dries very fast so you don’t have to worry about it making a mess in your bag after you use it. We have found this towel to be better than others because of its size and how well it absorbs and dries! Even if I’m not traveling, I never leave the house without my external battery. 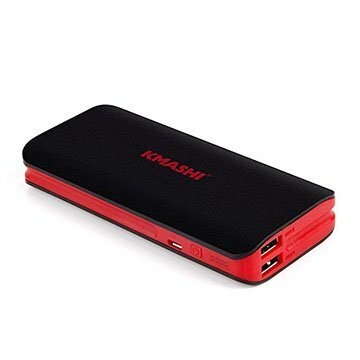 I use a KMASHI charger – it has two external USB ports that you can use to charge anything that you can connect to a USB. I love this battery in particular because it holds enough power for 3-4 full charges, which is so convenient! I just plug it in overnight when the battery is getting low and turn the USB cord around to plug right into my phone or another device when I need it. Plus, at $15, the price is right! 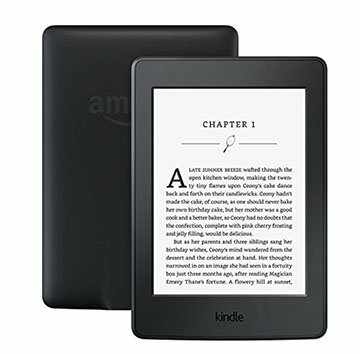 A Kindle E-reader is one of my must-have travel items. Reading books on my Kindle is a great way to pass the time and survive long flights and bus rides and is also useful when dining solo at a restaurant or cafe. My Kindle is environmentally friendly and a space saver – instead of lugging a bunch of books with me, I just bring my kindle. I like that it is lightweight, has a long battery life and has wi-fi connectivity. One thing I cannot travel without is my packing cubes. As a female, who likes to travel light, carry-on only, it’s vital to meet my needs. These packing cubes make it very easy to not only pack more than I need but keep my suitcase organized. They work just as well in backpacks too! Always look for a double zipper to allow for more space and compression to take up less space in your bag. Next, a mesh outer layer helps your clothes breathe. Lastly, be sure they’re washable material. I prefer to use three cubes, a small one for undergarments, medium sized for workout & sleepwear, large for tops and pants. You will be surprised how much more you can pack because of them. 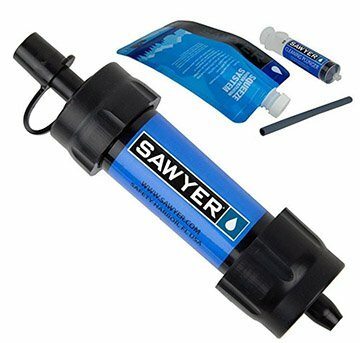 One of my favourite standard travel kits is my portable water filter, the Sawyer Mini. It is very lightweight and compact, plus really easy to use. I preferred it to the LifeStraw mainly for the specs and price. The Sawyer Mini outperforms in the fineness of filtration (0.1 microns), and also durability (longer design life). For me, a lightweight filter gives me more travel versatility than say, a filter water bottle, because I can keep my actual water bottle clean. Hence I could more spontaneously turn my bottle into a container for coconut shakes, sugarcane juice, or whatever I might encounter while travelling. 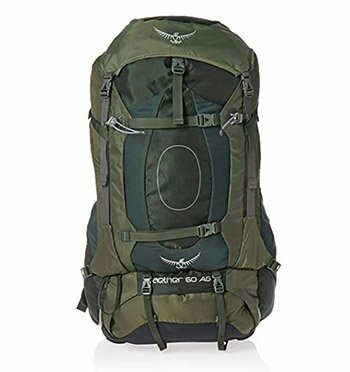 The Osprey Aether AG 60 has been a game changer for backpacking. After having an ill-fitting backpack that always left my back and shoulders aching, it’s really made a huge difference. The Aether is designed to centre all the weight on your hips, rather than your shoulders. When you buy the pack, the shop moulds the straps to your waist (using heat) and ensures you have a comfortable fit. Even when the pack is full it feels so much lighter than any other bag I’ve used. At 60 litres, it’s the perfect size for travelling and multi-day hiking. What items from this list do you already have? If not, which one do you think it is the most useful? I’m curious about your answers! Drop them at the comments below and let’s talk! Disclaimer: Please note that some of the links above are affiliate links. If you make a purchase I’ll receive a small commission for it, at no extra cost to you. If you have any questions about the companies or my status as an affiliate, please don’t hesitate to contact me via e-mail. Thanks for buying from our links! This entry was posted in Travel Gears and tagged Adventure, slider. So many great recommends! I think I need to get one of those water filters!